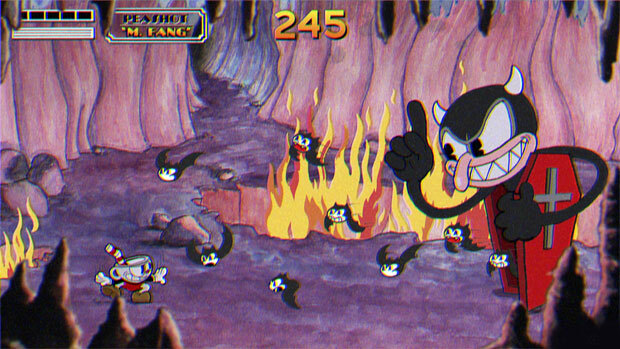 Cuphead (Review) only for Xbox One and PC: A Classic Run and Gun Action Game. 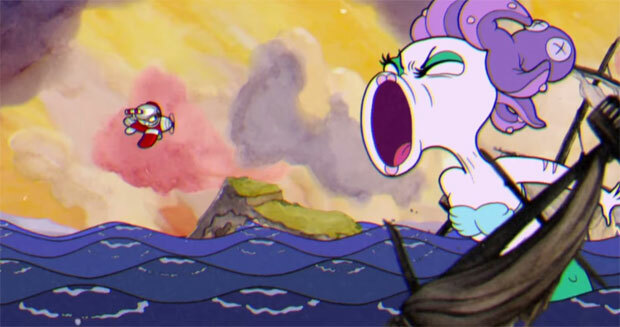 Cuphead (Review) only for Xbox One and PC: A Classic Run and Gun Action Game. An Artistic Refreshment for the Gaming Industry: inspired by Cartoons of the 1930s with a focus on Boss Battles! Imagine an arcade game that has parallels to the 1928 cartoon, Steamboat Willie or the 1933 film Popeye the Sailor and this Xbox One title not only pays homage to this area but creates a very artistic and enjoyable side-scrolling shooter experience. 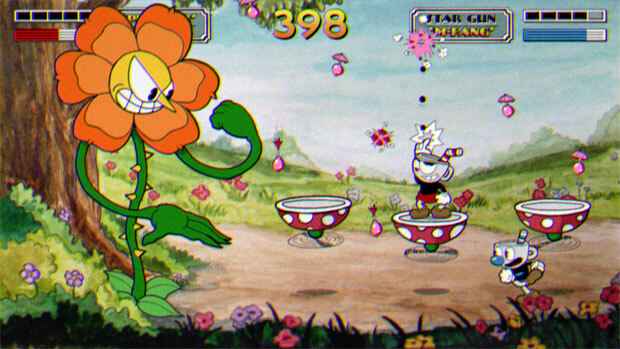 Unlike games of today which are totally rendered by computers, Cuphead uses hand painted backdrops and animation as you become immersed in this crazy game that is definitely a much needed title in a market flooded by first person shooters. There is also a quirky story behind Cuphead and when the main character of the same name and his friend Mugman lose their soul to the Devil, they are given the deal of their lifetimes. That is, become a debt collector for the Devil himself in order to appease the Lord of Hell himself. 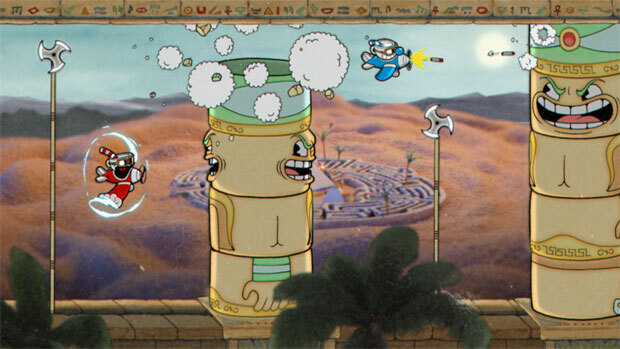 The game can be played in solo or co-op modes and if you play with another player, they control the other character Mugman which makes for a fun time. The controls are well mapped on the Xbox One controller, however you can tweak them for what you prefer as you blast your enemies into sprite explosions. Add in boss battles, achievements, power-ups and a few clever ‘surprises’ which I won’t spoil and it’s definitely worth investing in this title on the Xbox One. So as you move through the game, you are awarded coins which can then be used to buy new weapons and power-ups. With that said, some stages can be a little brutal (like friggin’ Dark Souls brutal) which does require some strategy on behalf of the player but the glorious animation and whacky soundtrack more than make up for this layer of controller rage. Sure, you’ll die more times than is healthy, however each time you die is a mistake that YOU make, not the game. Then you have the bosses and each requires a different strategy to defeat them in order to progress through the game. 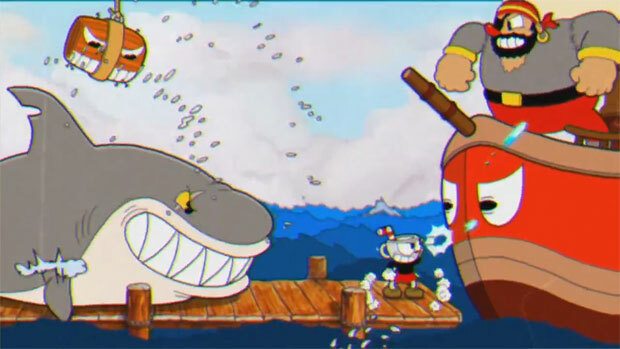 Another highlight of Cuphead for me was that you can play the game for short or long bouts and is probably a game that I will come back to agains, just to escape the doldrums of life and mainstream gaming. 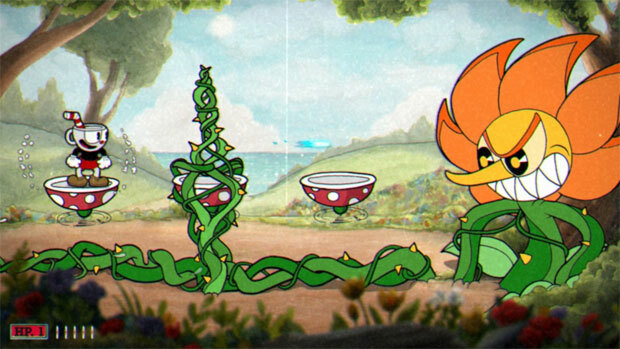 As mentioned, the graphics draw its inspirations from the cartoons of the early 20th century and the worlds in Cuphead are full of wonder, colour and some creepiness thrown in for good measures. It’s almost like watching a cartoon from this era possessed and when matched with the clever musical score (which also feels like it was from another era) plus sound effects, it definitely complements the gameplay and you’ll probably be humming some of the songs long after you have finished the game. Cuphead is a crazy ride into the minds of Studio MDHR and if you’re looking for something very diverse, check this out on the Xbox One because you’ll be surprised at how addictive, frustrating and entertaining this game is. It takes the classic side-scrolling shooters of yesterday and transforms it into a game of today with some beautiful art and music inspired from a simpler time. Read Here: Why Rainbow Six: Siege Might Be The Next Counter Strike: Global Offensive. NHL 18 Preview: Three’s Company. Watch Here Which Playstation Plus Games will be Free to Download in Month November.